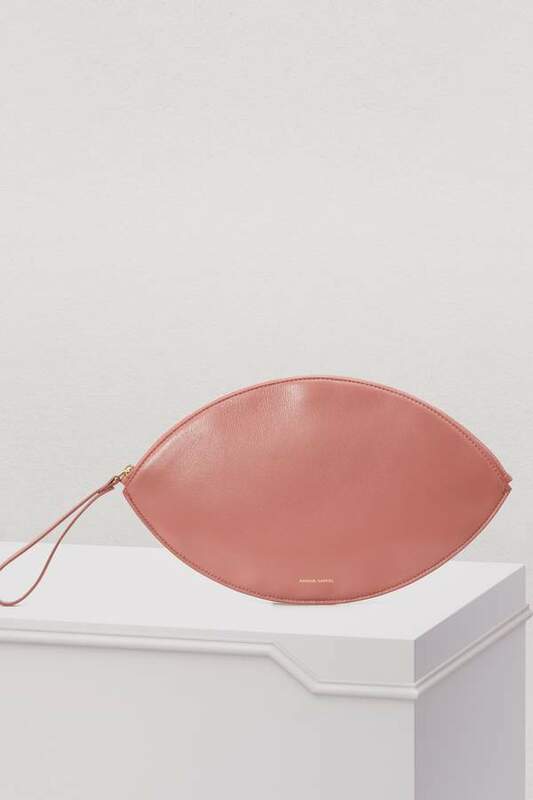 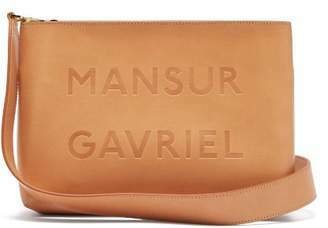 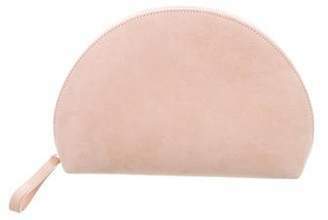 We love the pop spirit of this Oval lambskin clutch from Mansur Gavriel, that's just a tad playful in all its roundness. 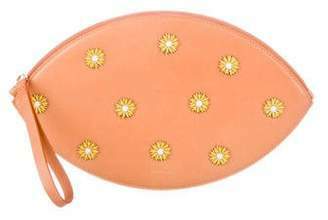 Its pastel colors are inspired by a fresh, colorful imagination, typical of the accessory collections from this American brand. 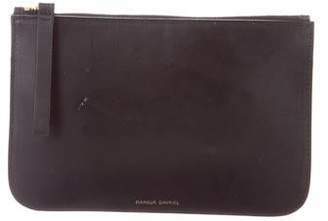 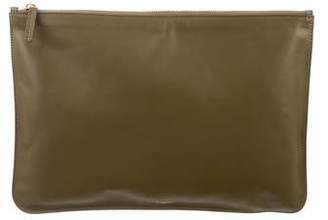 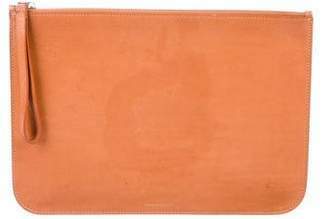 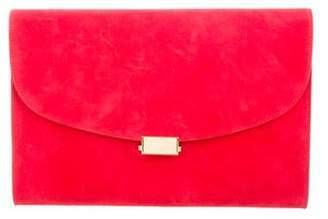 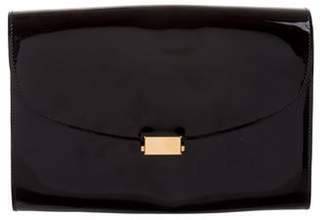 This is a clutch to slide into your favorite vegetable-tanned leather bucket or tote bag.